At Napps Cooling, heating and Plumbing, we understand that even with the utmost care, HVAC emergency still takes place and worst, it comes at the very least you expect it. We cannot prevent these situations from happening, but we can always find ways to reduce the chance of these unexpected chaos. Here are some tips that our experienced professionals would like to share. Furnace is old and components are starting to wear and tear. Dirty air filters add strain to the units, causing it to overwork. Thermostat is malfunctioning giving wrong commands to your furnace. The ignition or pilot is not operating properly. Leaking refrigerants stresses your units and takes too long to cool your home. Electric control failure which sometimes lead to system overwork and some electrical glitches in the components. Sensor problems provide wrong information on your air conditioning unit and may cause it to work continuously. Improper drainage can cause damage on the mechanical components of your A/C. It is important be prepared in case these circumstances rise in, especially on the financial aspect. Experiencing these with an empty bank account can lead you to borrow money from the bank with interest charges, hire some shoddy repair technicians, or let the season end without your HVAC system. Save for the unexpected. Build up your savings for the most surprising situations, especially to your heating and cooling systems. Spare a little portion from your cash every payday. It won’t leave you cramming when your HVAC fails in the middle of the night. Sign up for a home warranty program. A warranty maintenance program will give you assurance that your units are well-maintained. 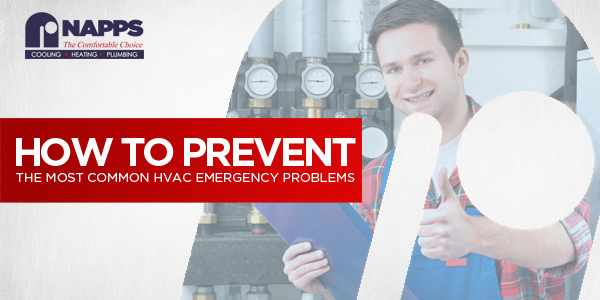 This will also give you the priority benefit when it comes to HVAC emergency services. Schedule a regular HVAC tune-up. Be sure to have a regular inspection and maintenance on your HVAC system. There are easy DIY steps that you can do but you can also hire an HVAC professional to do it for you. Maintenance, repair, emergency services, name it! 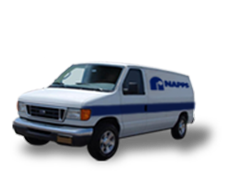 Our experts at Napps are ready to provide you with the best solutions to your HVAC problems.